Mr. Kopman’s litigation practice concentrates in the areas of commercial matters, construction, banking, zoning and real estate, insurance defense, professional liability, nursing home defense, election law, and general tort litigation. He represents private businesses and corporations, public entities, banking institutions, architects, engineers, contractors, and subcontractors as well as individuals. He has tried many cases to judgment, including jury trials as well as bench trials. Mr. Kopman is experienced in resolving matters through alternative dispute methods, including mediation and arbitration. Mr. Kopman’s government practice involves general representation of local governmental units. 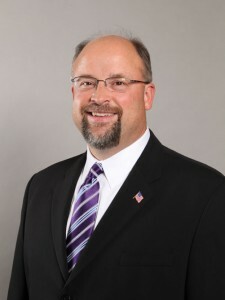 He represents a county-wide forest preserve district, a Will County city, and a municipal fire & police commission and has worked for municipalities, townships, and a local park district. 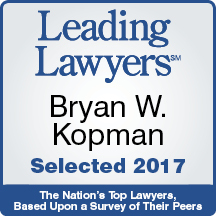 Mr. Kopman has been named a “Leading Lawyer” for the years 2016, 2017, and 2018, based on nomination and recognition by his peers. He is a member of the Will County Bar Association and Illinois State Bar Association. Representative commercial cases include breach of warranty claims, shareholder disputes, breach of contract, trade secrets misappropriation, fraud, and breach of fiduciary duty. Representative banking cases include foreclosures of commercial properties and security agreements as well as enforcement of personal guaranties and securing confessions of judgment. Representative zoning and real estate cases include statutory and constitutional challenges, judicial annexations, enforcement of real estate sales contracts, and enforcement of annexation agreements. Representative construction cases include mechanic’s lien matters, construction deficiencies, breach of contract, defense of personal injuries, and encroachment issues. In the area of election law, he has prosecuted numerous objections and challenges to candidate nominating petitions and referendum petitions as well as counseled candidates and committees on petitions. Representative government matters include prosecuting ordinance violations and counseling public entity / local government boards on various matters, including Illinois’ Open Meetings Act and Freedom of Information Act, zoning and development issues, contract procurement, etc.